Hours and minutes. These measurements of time aren't what many would call significant, but they can make all the difference. On Earth-30, Kal-L's arrival on earth was delayed by mere hours and instead of landing upon the fields of Kansas, the Kryptonian's rocket crashed on a Russian collective farm. 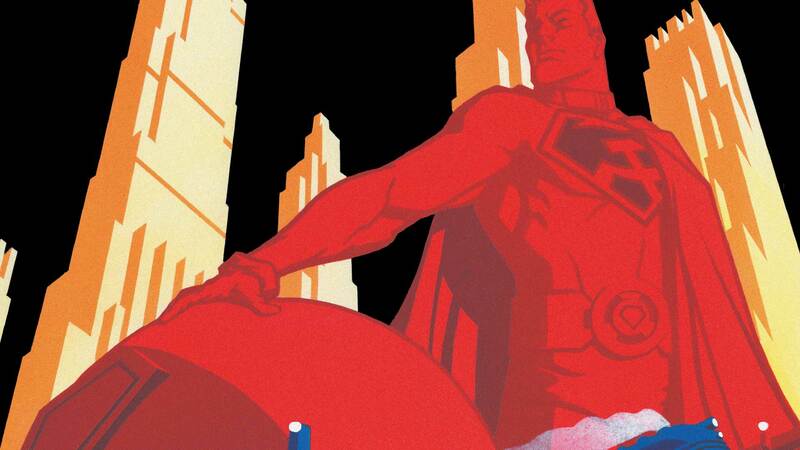 Raised on Soviet soil, Kal-L became a Communist Superman. Luthor also enlisted the assistance of Batman. The caped hero became a painful thorn in the sides of Russian authorities as he embraced his role as a terrorist freedom fighter. What began as a personal vendetta against a member of the Joseph Stalin's police force became something bigger as Batman executed acts of insurgency against Superman's regime. But that’s in the past. Now, after decades of strife and struggle between Russia and the United States, the citizens of Earth-30 are prospering. Superman is presumed dead and the world thrives under leadership from the Luthor family. STARRING HEROES FROM CRISIS ON INFINITE EARTHS! This is it! The entire DC Universe, from the dawn of time through The New 52, must fight to survive against a threat that bends the Multiverse to its will.